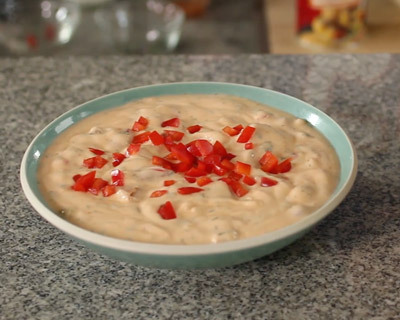 Stir the soup, yogurt, cilantro and pepper sauce in a medium bowl. Sprinkle with the red pepper. Serve with the tortilla chips for dipping.